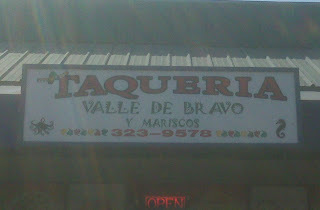 Taqueria Valle De Bravo is located between 290E and 183 on Cameron Road in Northeast Austin. It is tucked away in a very unassuming strip mall on the West side of the street and is located right next to F & F Fruit Cups (we'll get to them later). The inside of Valle De Bravo is exactly what you hope to find in a out-of-the-way strip mall Taqueria. Clean, spacious tables, attentive waitstaff, Telenovelas on a TV in the Corner, and two table salsas, preferably in squirt bottles. What you don't expect to find are the amazing chips and refried beans topped with crumbled cotija cheese that are brought to the table when you arrive...and the best part is they are free! Any restaurant that understands the importance of starting the meal off right is destined for greatness, or at least goodness, and Valle De Bravo totally delivers. Head on over and let us know what you think and don't forget to save room for the Fruit Cups next door at F & F. They are off the chain! Tons of fresh fruit stacked up in a cup and they top it all off with gobs of tangy chili salt (trust me). They also have fruit smoothies, fruit trays for parties and fruit cups galore! This sounds delicious. 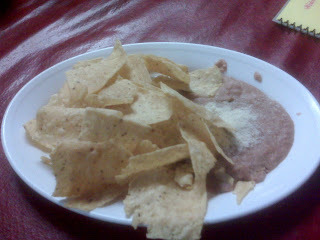 I love refried beans. FYI: every mexican food joint in Las Vegas I went to served refried beans with the chips and salsa - FREE! 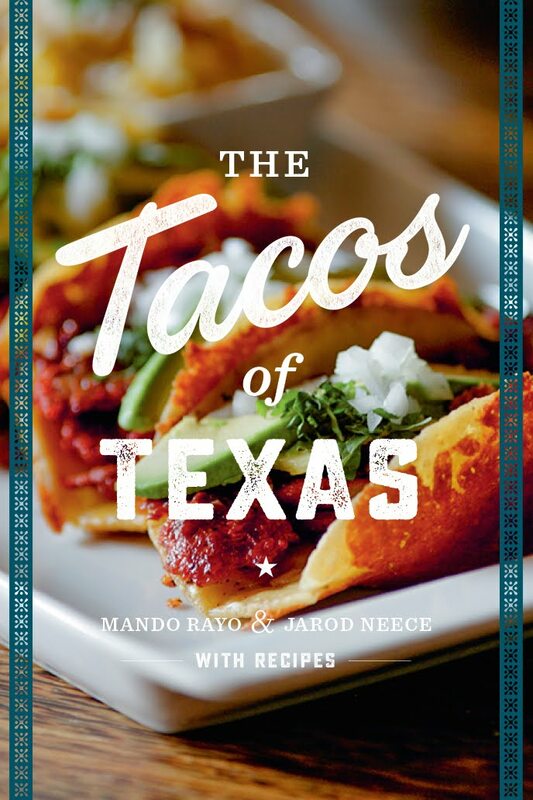 It was AWESOME, although they can't hold a candle to the TexMex in Austin. I went over there to have breakfast, and as a migas connoisseur, I can honestly tell you they serve the worst migas I've ever had in my life! For six dollars, I was treated to mostly strips of barely edible stale, chewy, fried chips mixed with a bit of eggs, no pico, and a sparse topping of cheese considering the amount of chips thrown in the dish. Either the regular cook must of been out sick or it's nothing short of miraculous that they have regular customers if this was any indication of their other offerings. Not only that, they don't take debit/credit cards either, so beware. I heartily recommend Amaya's (Capital Plaza) and Taqueria Chapala #5 (183& Cameron.) This Chapala's location offers great migas for only 3.99. Not a big heaping plate, but it's cheap, good and it hits the spot just fine for the price. 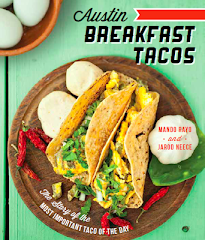 These are just about like southern California style tacos-fried shells, shredded meat, and crumbly white cheese. 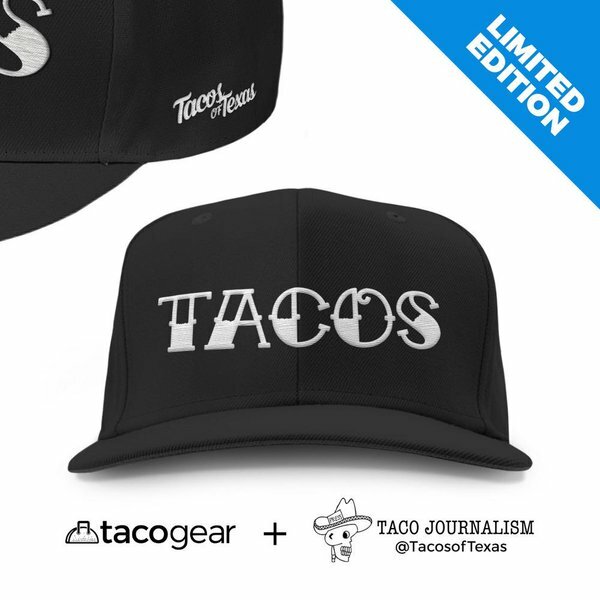 I grew up with this style tacos (the only ground beef, soft shell tacos were Taco Bell, ALL tacos came with fried shells and shredded beef!). Great tacos, loved the beans and chips too. Red and green sauces were xlnt. Will def go back! 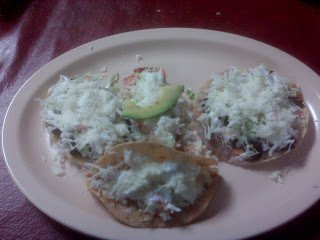 went back, their enchiladas are xlnt too! f&f is the best kept secret in austin for smoothies & fruit cups!